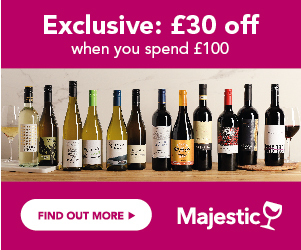 Explore the biggest discounts on McGuigan Wines in the UK! Use various filters to go straight to your selected range, size or seller. Have a look at our Deal of the Day or sign up to Price Alerts to never miss your favourite bottle on offer. The McGuigan brand of Australian wine is probably, the fastest growing Australian wine brand in the UK. 4 years ago, it sidled along the well-known names on some supermarket shelves. Today, it’s the 8th biggest brand in the UK, and dominates supermarket shelves, putting McGuigan as the 3rd biggest Australian brand, in a very short space of time, behind Hardys and Jacobs Creek. McGuigan wines were a relatively low key and late arrival to the UK wine scene, but have made up for lost time in the last 5 years. One of the most acclaimed wine companies of recent times, the McGuigan tally of medals and accolades covers just about every award in the book, and clearly reflects the passion and focus that the wine team behind the brand put on top quality wines, at every price level. McGuigan wines started up in the Hunter Valley of Australia’s New South Wales, back in 1880, and over 125 years later, the business is still totally family owned. With brothers Brian and Neil McGuigan at the helm, the wine company went from strength to strength from the late 1990s, hitting the big time in the UK towards the end of the noughties. Neil McGuigan, is the winemaking brains behind the brand and remains passionate about the quality of his wines. Maybe more than any other Australian big brand, McGuigan have helped demystify wine styles, listened to what wine drinkers wanted, and adapted the styles of their wines to suit that. Since 2009 McGuigan have scooped just about every award in the book, from the biggest wine competitions in the UK, the International Wine Challenge and The International Wine & Spirit competition. From overall white wine maker of the year, against international competition, to winning the International Riesling trophy, and then the International Semillon trophy, Neil McGuigan then topped it all by winning the top IWSC trophy, International Winemaker of the year, not once, but an unprecedented 3 times. McGuigan wines are always looking for innovation, and making life easier for the wine drinker, and have recently teamed up with superstar celebrity chef, and fellow Australian, John, Torode, of Masterchef fame, to create a range of recipes matched to specific wines. The range of wines focus on styles and flavours, first, rather than the more traditional focus on provenance and location. The McGuigan brand started off with the launch of Black Label, which still has an incredible following throughout the country. With a full range of varietals, from the traditional to a spicy Riesling Gewurztraminer and the new fashion queen on the block Moscato. There is also a Reserve Black Label range, with more intense, fruity styles. The focus of the brand, with its numerous sub ranges, is flavours. The McGuigan website is organised by style first, rather than range. It’s divided into the following categories – fragrant; fresh; crisp; zesty; light; luscious; spicy; intense; smooth. The pale grey label Bin Series is a great introduction to the McGuigan wines, with a range of varietal and dual varietals, packed with true to type flavours of the grape, fruity, clean and flavoursome. The Cellar Select range delivers fresh, fruity, easy drinking styles of wine across a range of still and sparkling wines, whilst the Classic series is all about the true expression of each individual grape variety. The white labelled Estate range, now widely available, is all about the true varietal flavours of Chardonnay and Shiraz, and both deliver good intensity of flavour at great value prices. Moving up a level, the Reserve range comprises a Chardonnay, a Shiraz and a Cabernet Sauvignon, all sourced from some of McGuigan’s most premium vineyards. Deep, rich, complex expressions of the individual grape varieties. Some of the loveliest wines are part of the ‘Shortlist’ series, with a white peach, and zestily fresh Adelaide Hills Chardonnay, a lime fresh, zesty Riesling from Eden Valley, and a ripe, spicily intense GSM from the Barossa – true expressions of regional character in individual grape varieties. One of McGuigan’s latest innovations has been the launch of ‘The Semillon’, a new style, from this traditional white grape variety from Australia, showing the grape variety in all its pure, fresh, citrussy liveliness.